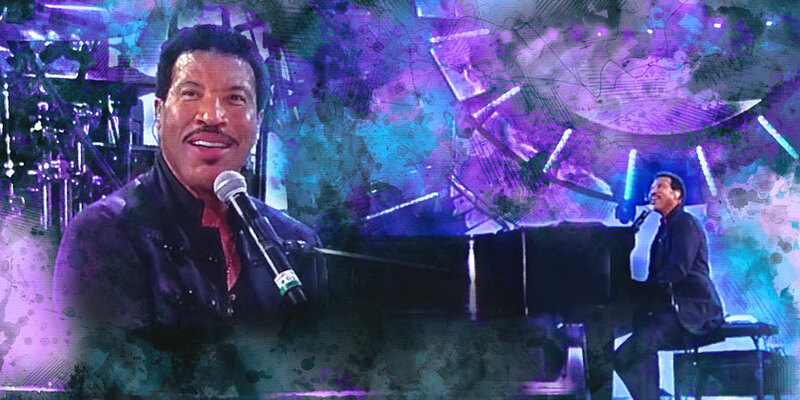 Grammy-winning artist Lionel Richie will be hitting the road in support of his latest album, Live From Las Vegas! Richie’s “Hello Tour” kicks off May 28 in Sugar Land, TX and will include stops in cities like Jacksonville, Milwaukee, New York City, Los Angeles, and Portland. A final performance in Saint Paul, MN will wrap things up August 30. 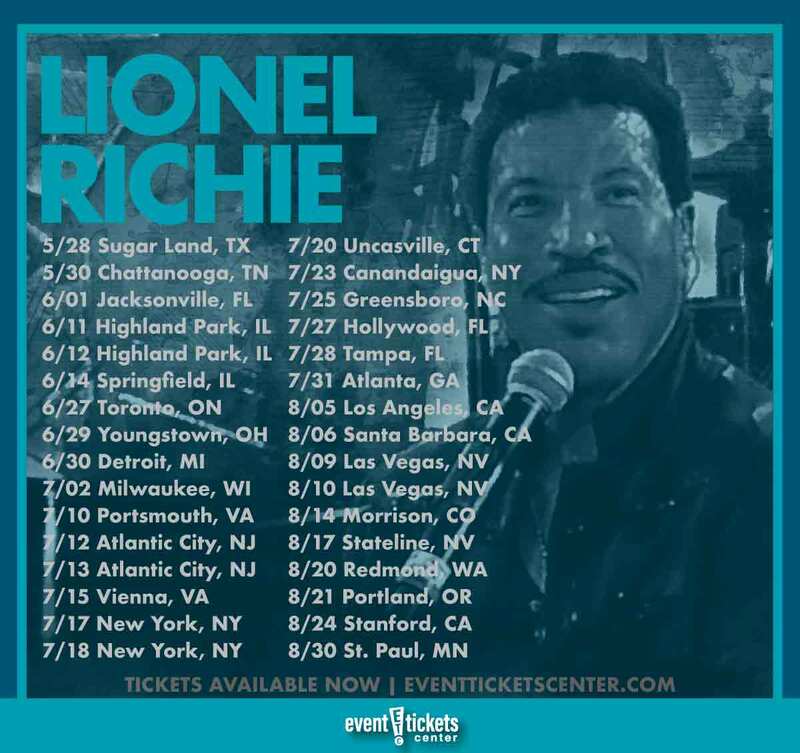 The 32-date summer trek coincides with the release of his latest project Live From Las Vegas, a live album featuring a dozen of Richie’s greatest hits from both his solo catalog and the Commodores that he recorded at Planet Hollywood Resort’s Zappos Theater. Live From Las Vegas is due for release on August 23. Lionel Richie launched his career at the tail-end of the 1960s as a member of soul group the Commodores. The band immediately hit the top of the charts on the strength of funky, danceable hits like “Machine Gun” and “Brick House.” Over time, Richie’s style of writing turned more towards romantic, easy-listening ballads, leading to hits like “Easy,” “Three Times a Lady,” and “Sail On.” The Commodores reached peak popularity in the late ‘70s-early ‘80s, with Richie at the front as co-lead singer. Richie would part ways with the Commodores in 1982, launching his solo career with the release of his debut solo album, Lionel Richie. The album spawned three massive hit singles including the Grammy-winning track “Truly.” Can’t Slow Down followed one year later, selling twice as many copies as his self-titled debut and earning the artist a Grammy Award for Album of the Year. The album was so successful, in fact, that Richie was launched into the first rank of international superstars. Two years later, he collaborated with Michael Jackson, co-writing the Grammy-winning charity single “We Are the World,” which would go on to sell over 20 million copies worldwide. Lionel Richie is considered one of the most successful balladeers of the 1980s. He has sold over 90 million records across the globe, making him one of the best-selling artists of all time. Richie has taken home four Grammy Awards as well as a Golden Globe and Academy Award for Best Original Song for “Say You, Say Me” featured in the film White Nights. Richie is an inductee of the Songwriters Hall of Fame, where he also received their highest honor, the Johnny Mercer Award, in 2016. Where is Lionel Richie playing near me?